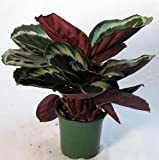 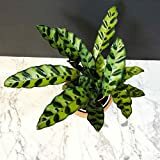 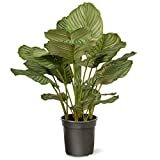 Calathea growing leaf plant of the genus Calathea also known as Pin-stripe calathea, Calathea perennial evergreen used as ornamental plant, grow in tropics, mediterranean, subtropical climate or houseplant and grow in hardiness zone 11+. 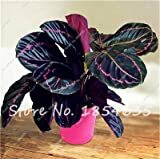 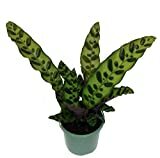 Leaves color green, purple, green with purple or white stripes, white-green or purple-black with green, can be with like “burning marks”, under the leaves can be in green, red or purple color, the leaves in elliptic shape. 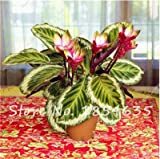 Flower color yellow, orange, white, pink flowers grow on stem in inflorescence the flower look like beehive the petals merge in the bottom.